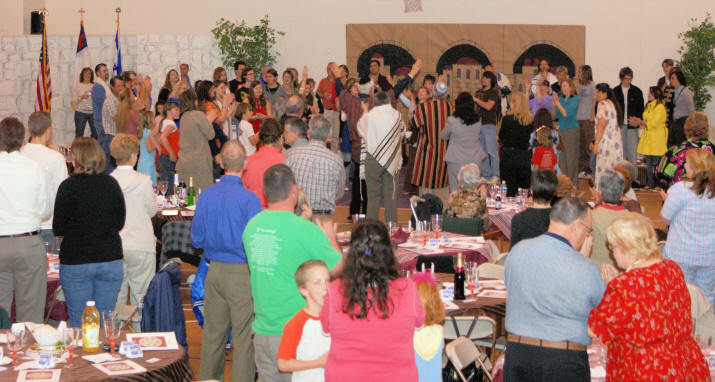 The Seese family joined Beit Yeshua for their 2009 Purim Celebration. 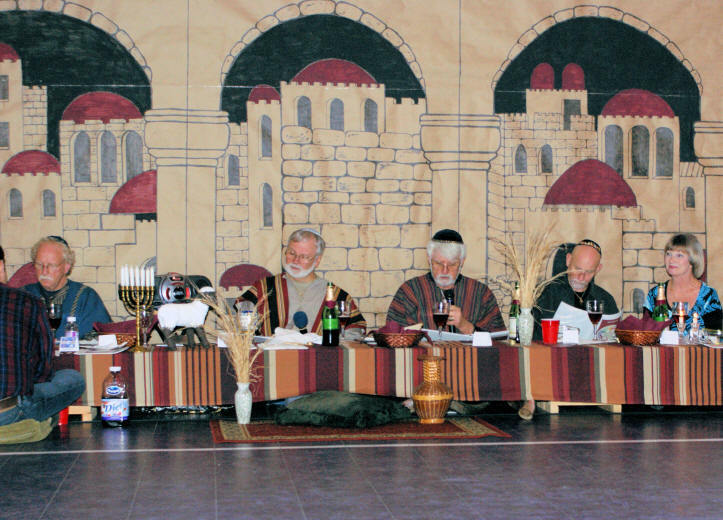 Purim is the Biblical Festival that recounts how God used Queen Esther to save the Jewish people from the evil Haman. 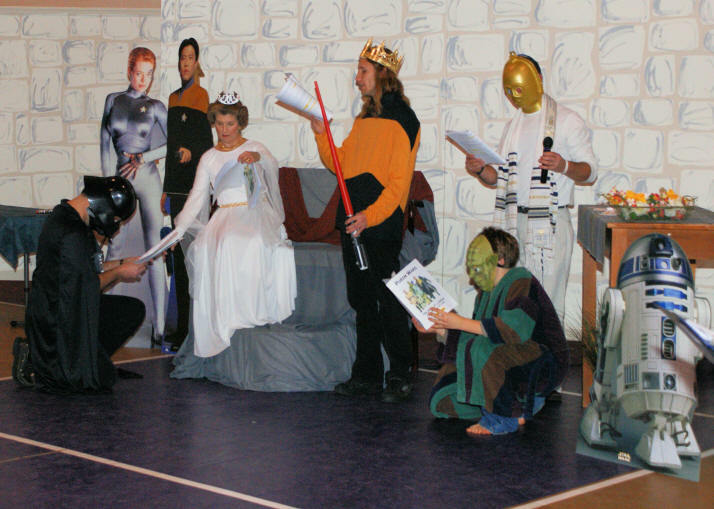 Part of Beit Yeshua's Purim Celebration included a Parody Play. 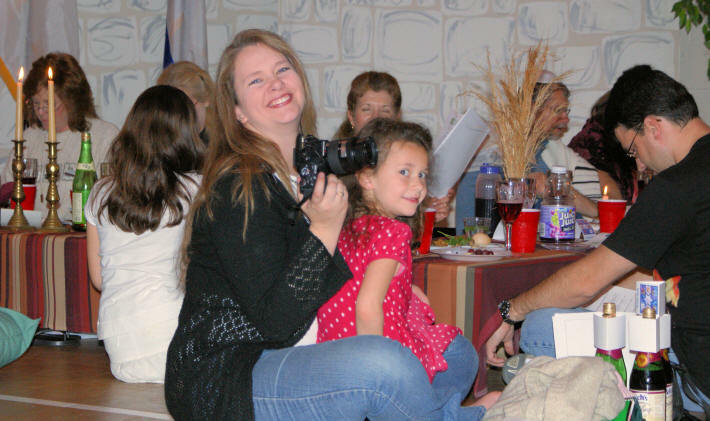 Savanna & Ali's paternal grandfather, Curtis Loftin, writes and directs the Purim play each year. 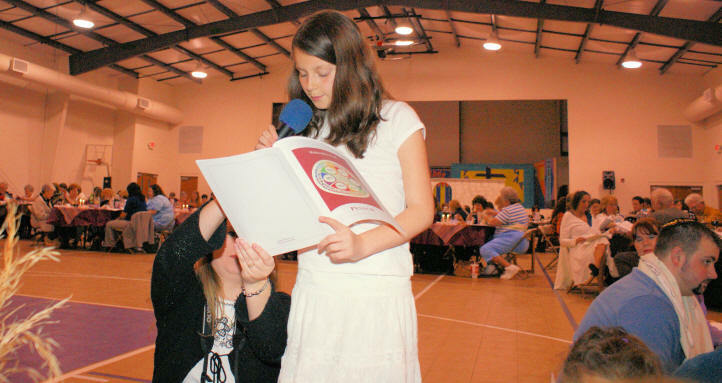 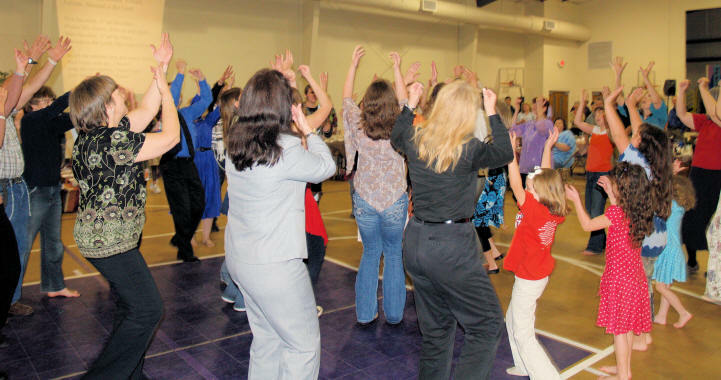 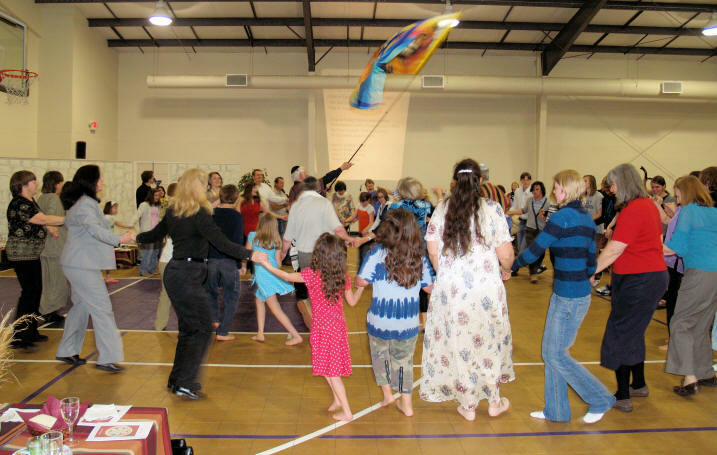 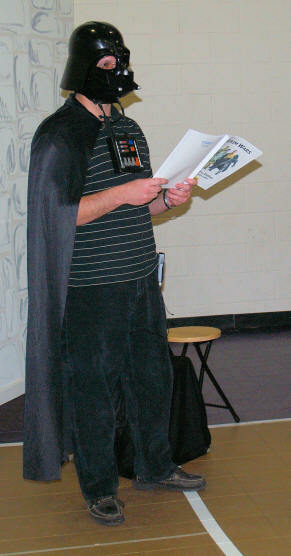 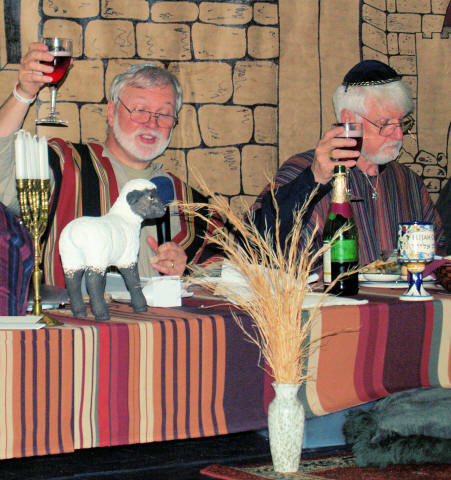 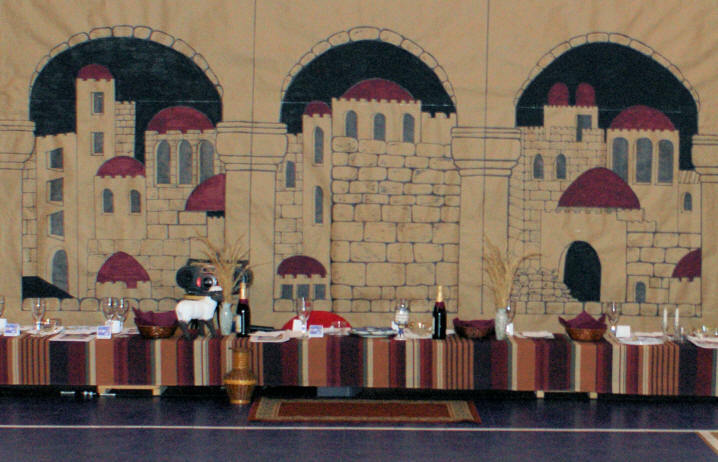 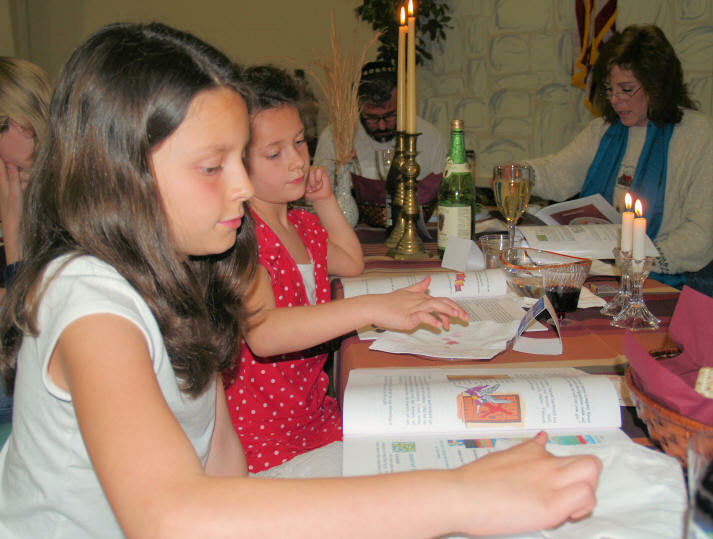 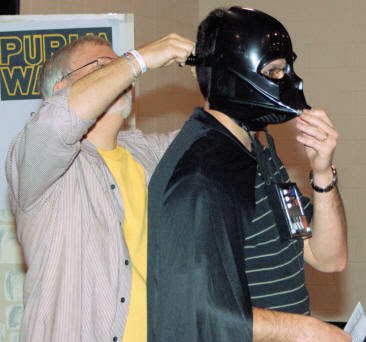 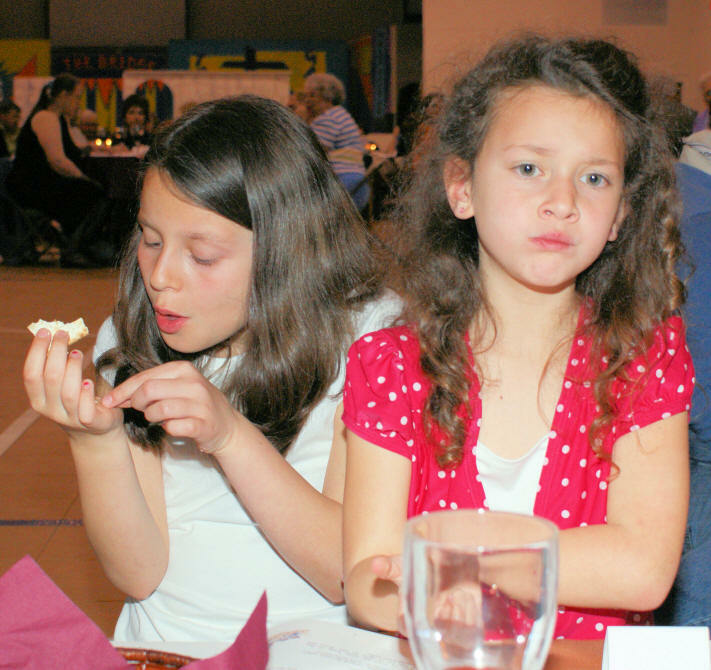 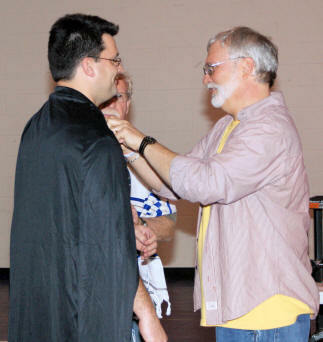 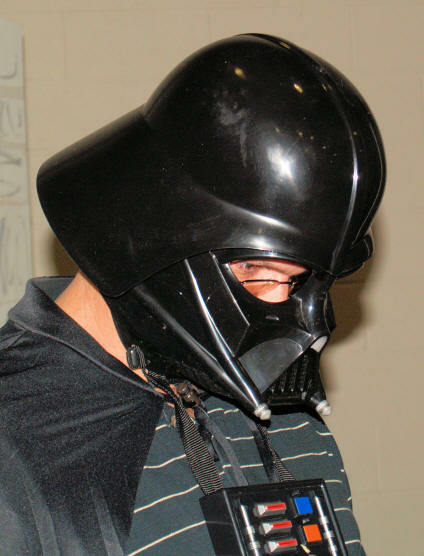 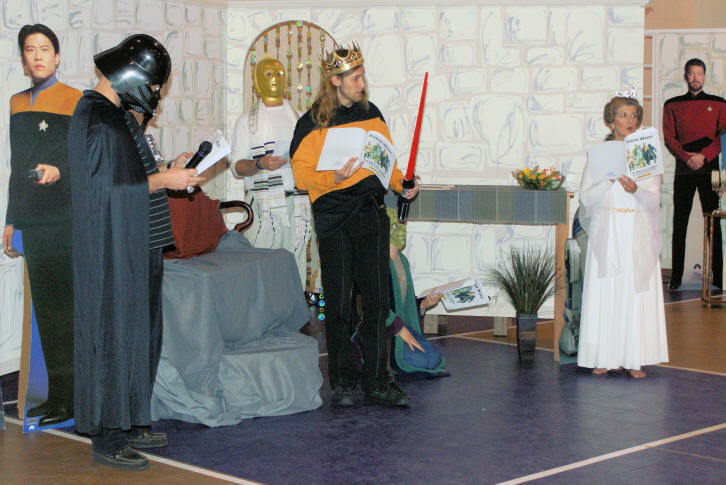 The 2009 Purim Play was entitled "Purim Wars"
Beit Yeshua hosts a Pesach/Passover Seder each year at Covenant Bible Church in Lincolnton, NC, and the Seese family always attends the event that is led by Curtis Loftin and Doug Williams. 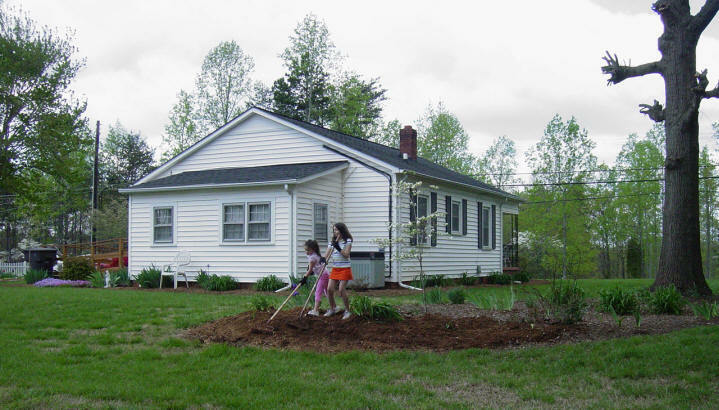 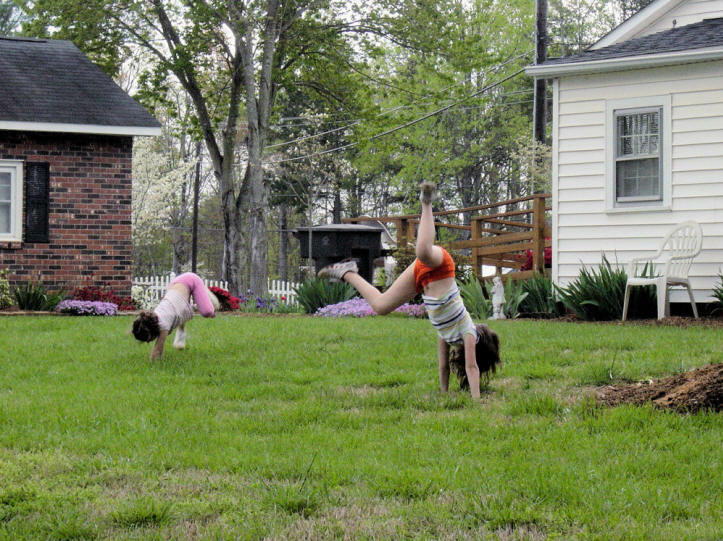 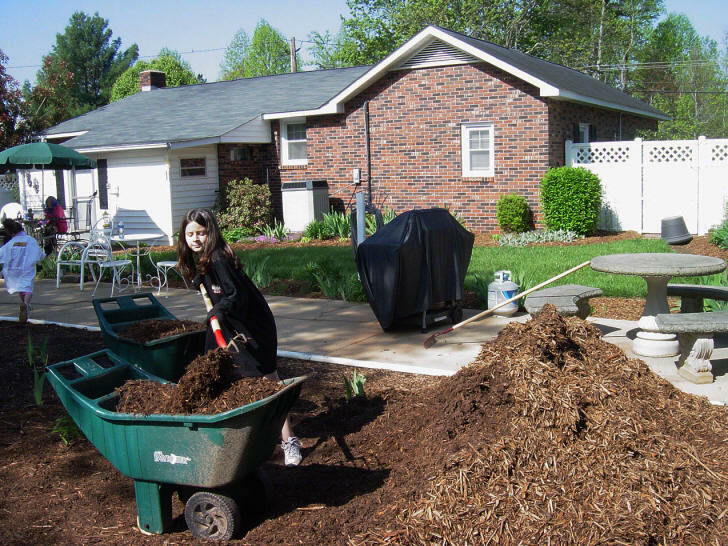 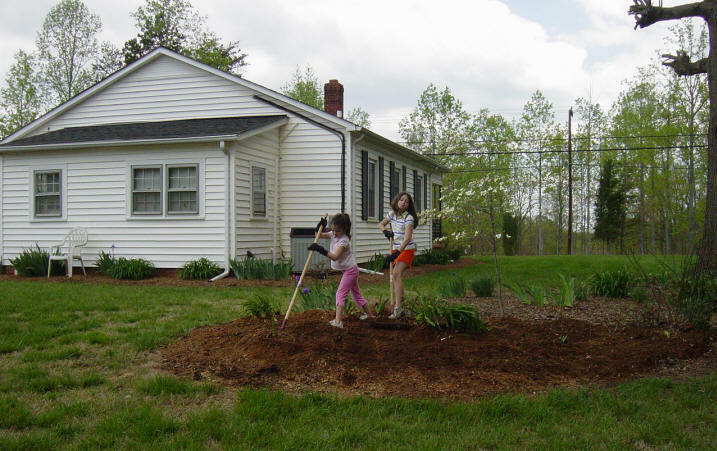 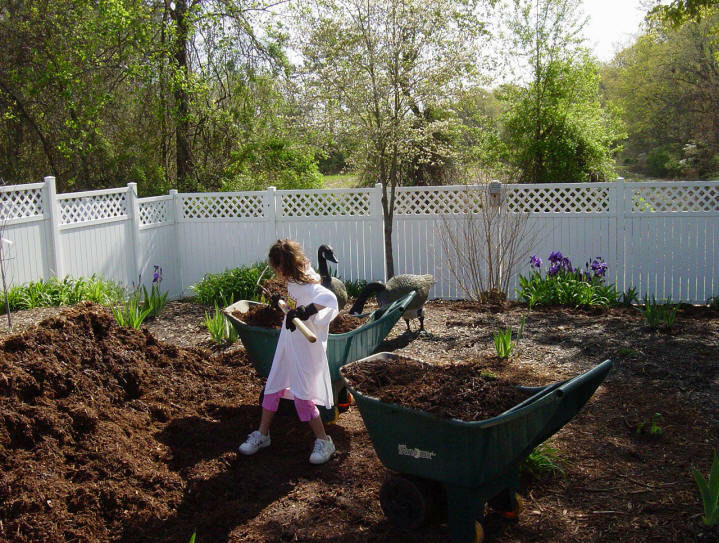 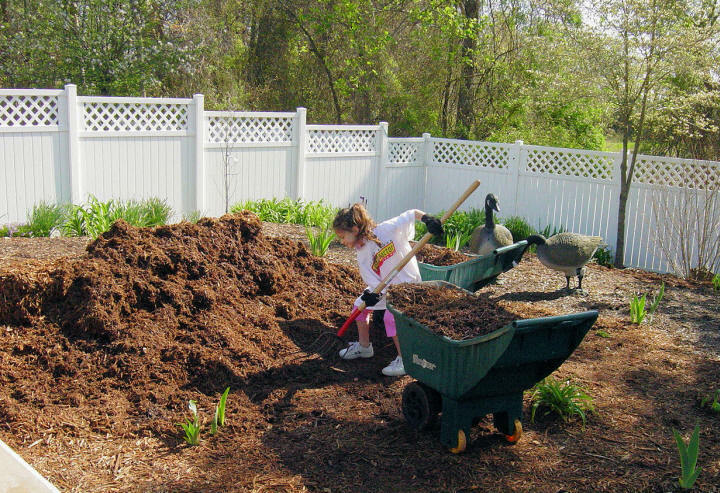 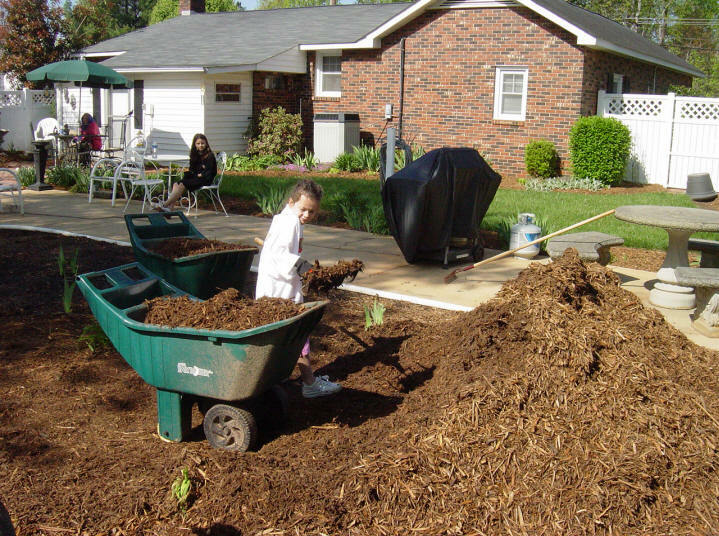 Savanna and Alexandria came over to Poppi & Nonni's house on 15 Apr 2009 and had the opportunity to help Poppi & Nonni put out mulch in the back yard. 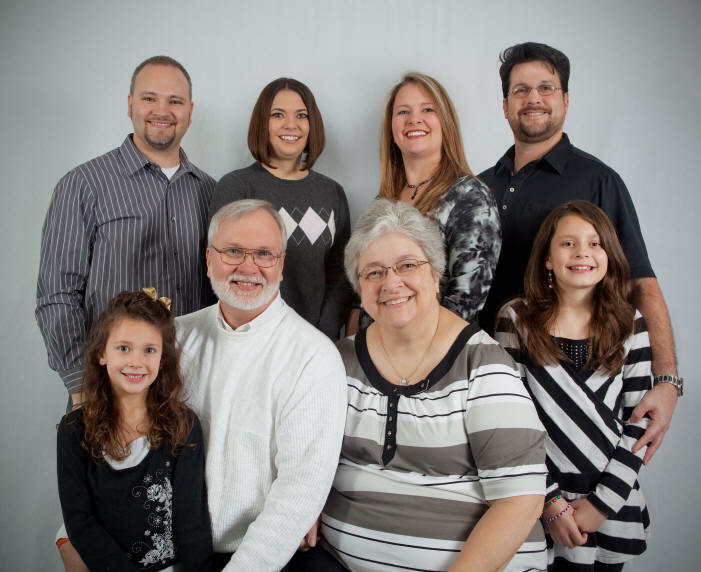 The Seese family has attended Covenant Bible Church in Lincolnton, NC, since 1999 - along with Curtis & Carolyn Loftin. 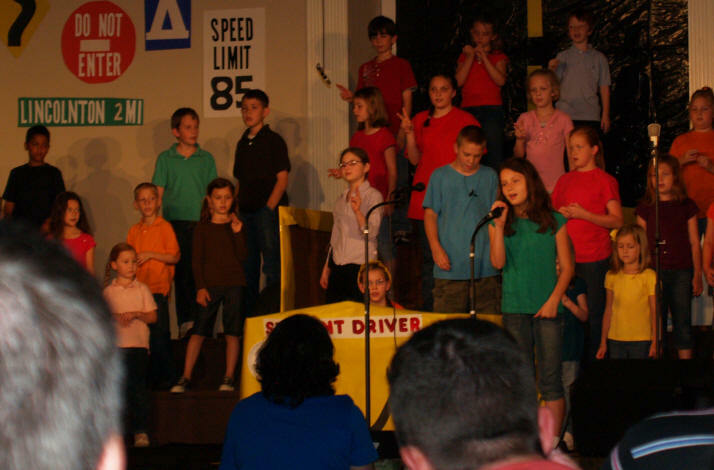 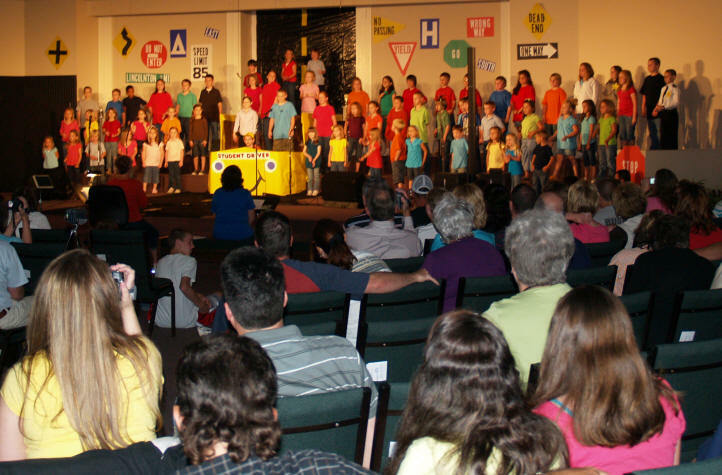 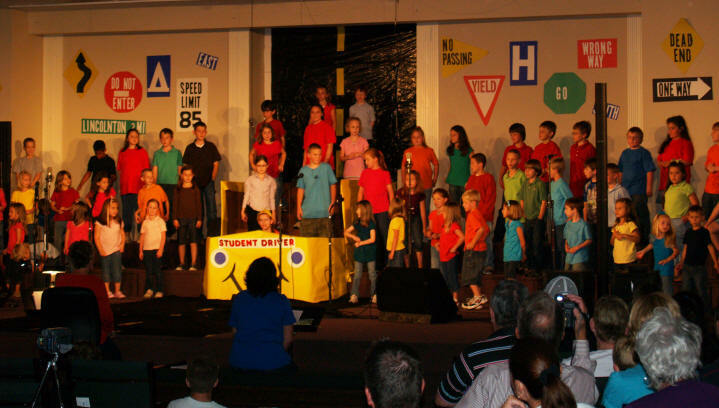 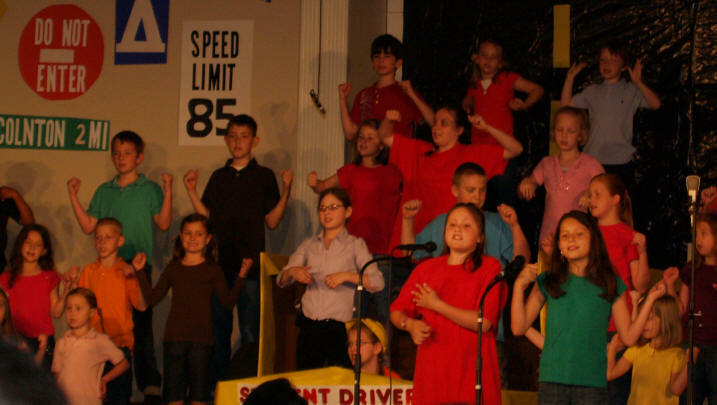 Covenant has a large children's program including a yearly Kid's musical. 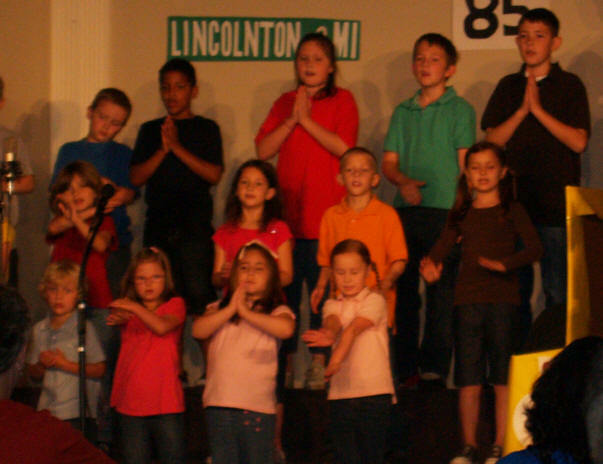 This choral program from 17 May 2009 included both Savanna and Alexandria. 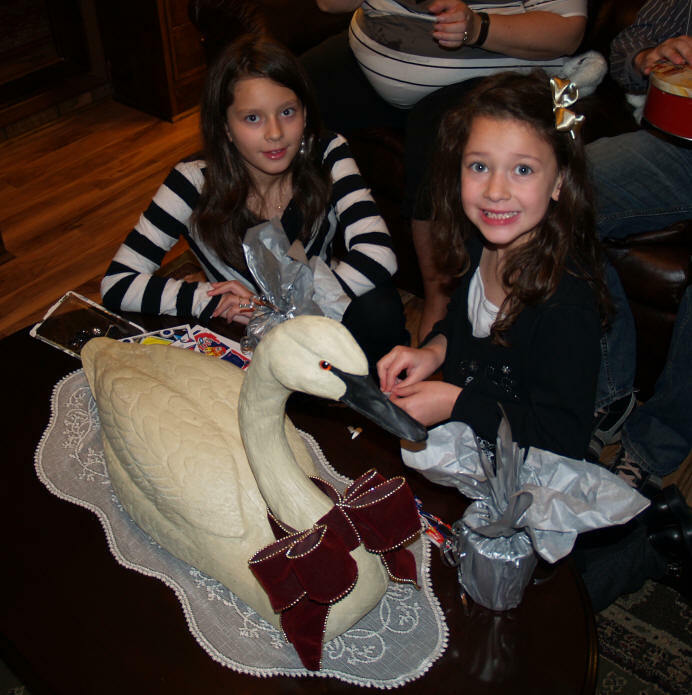 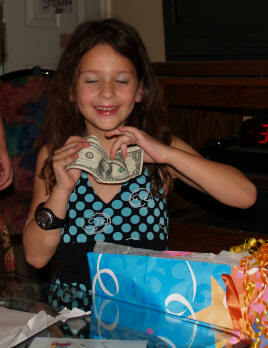 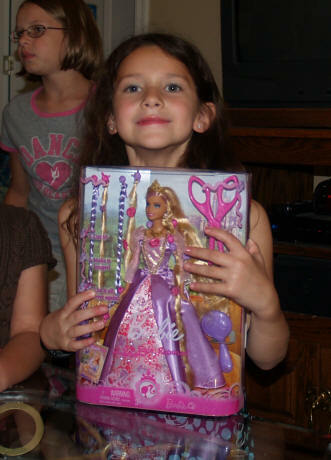 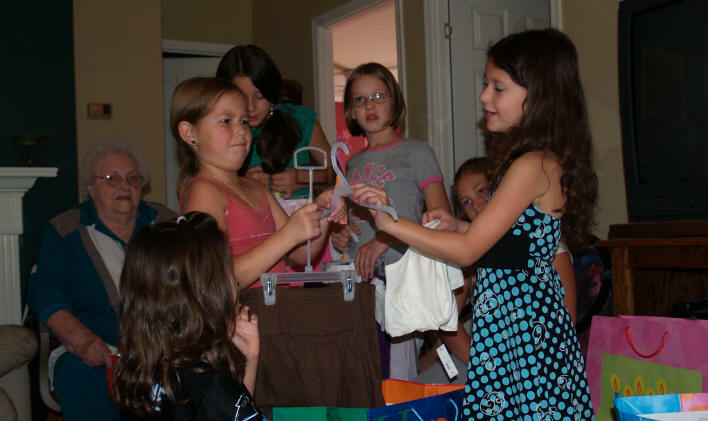 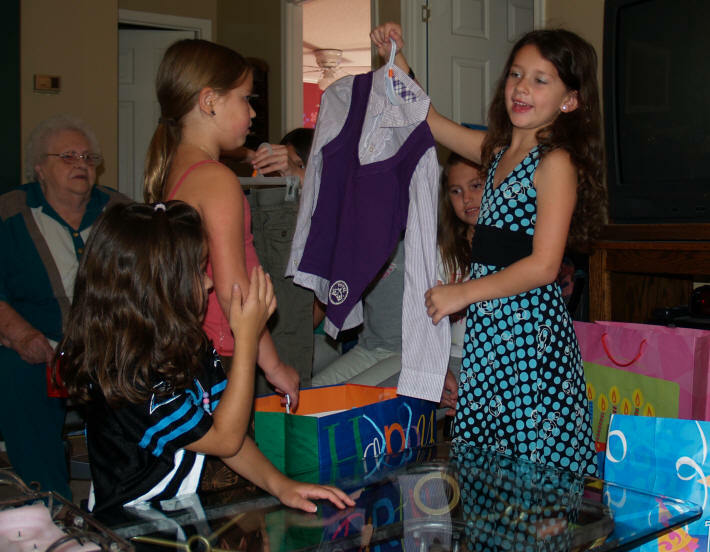 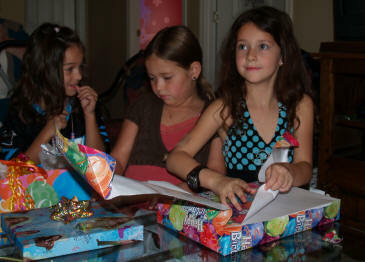 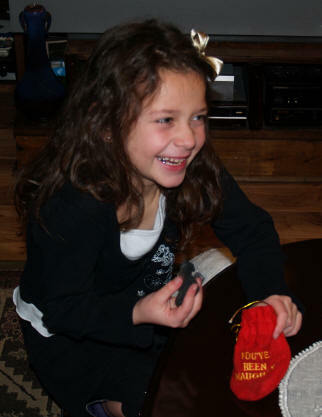 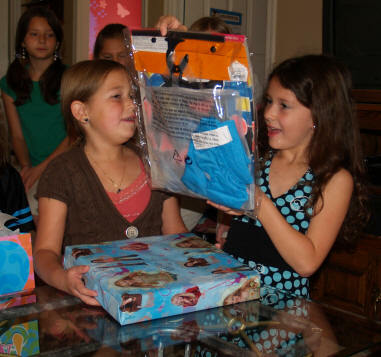 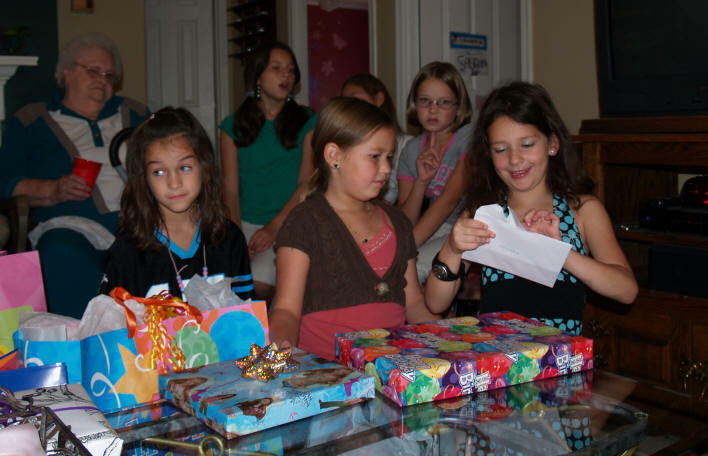 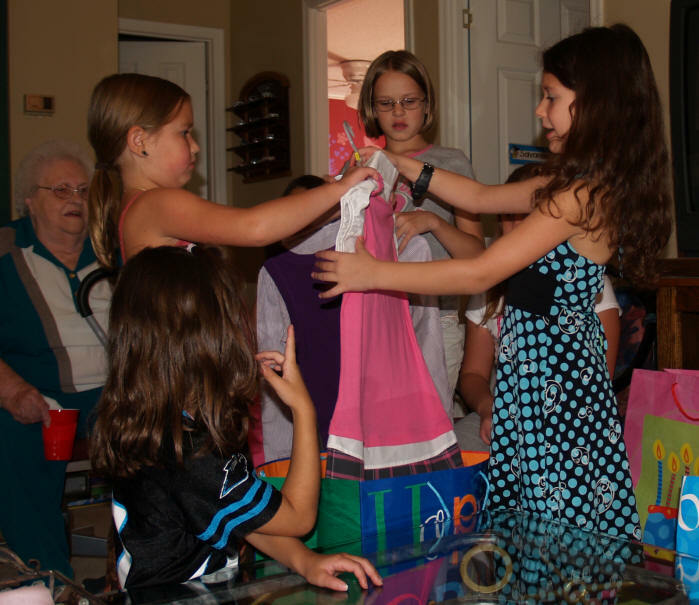 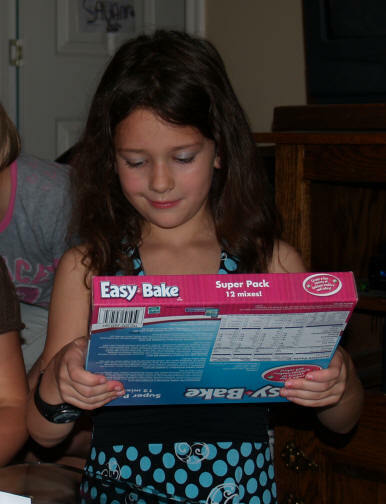 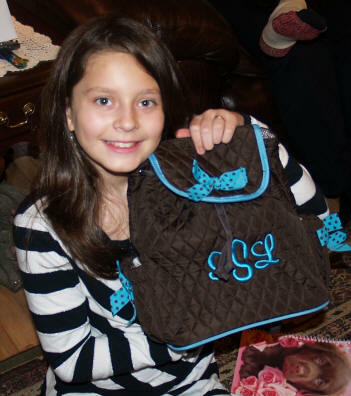 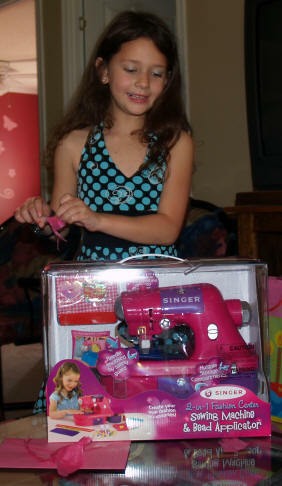 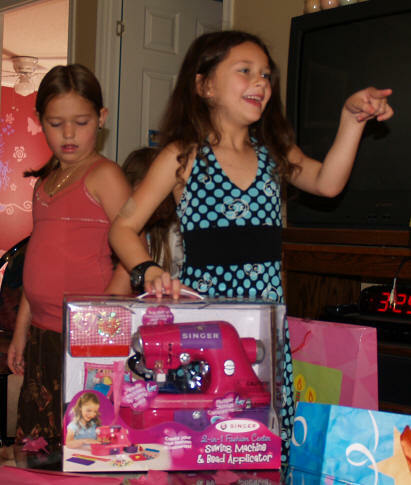 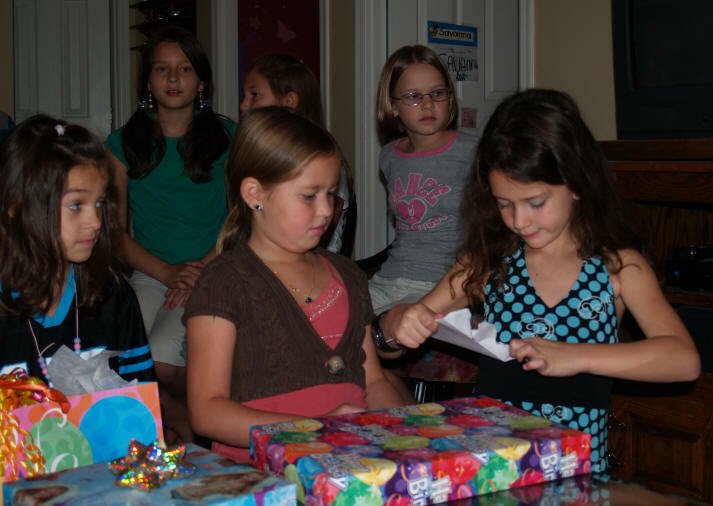 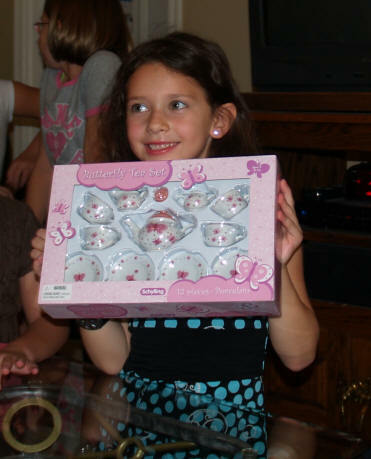 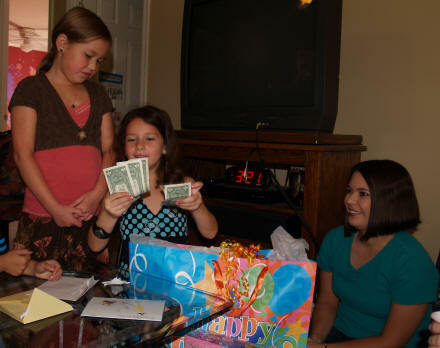 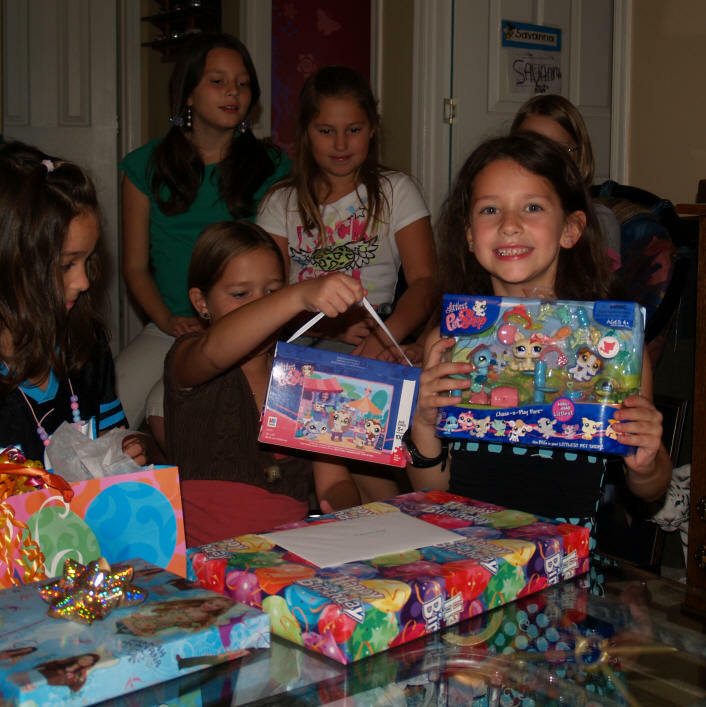 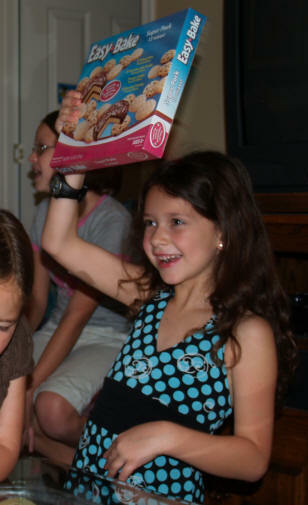 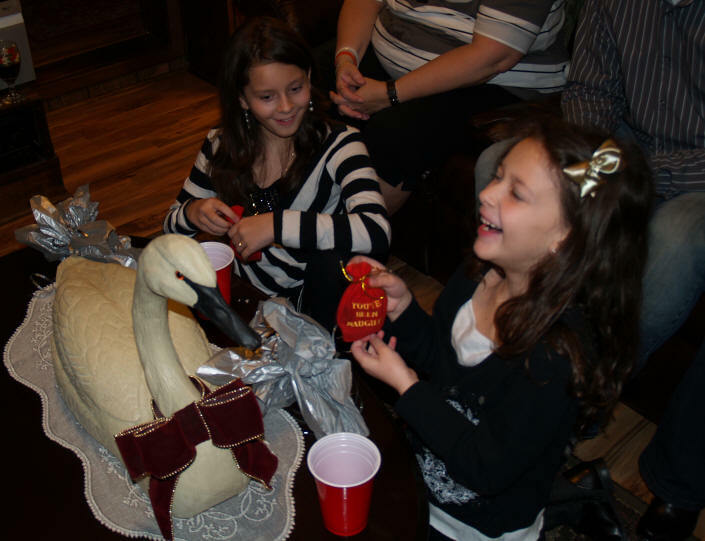 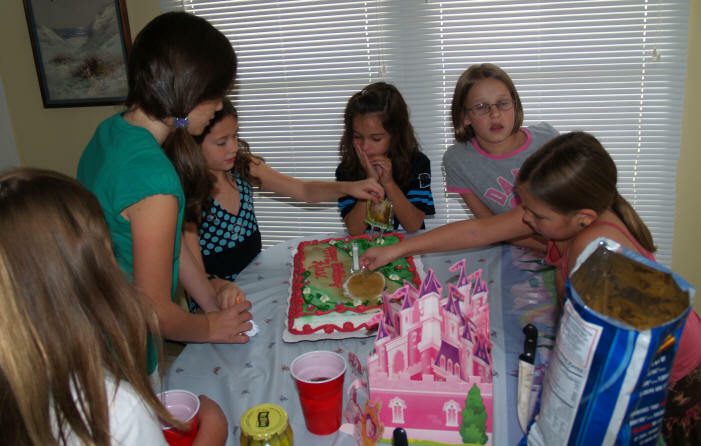 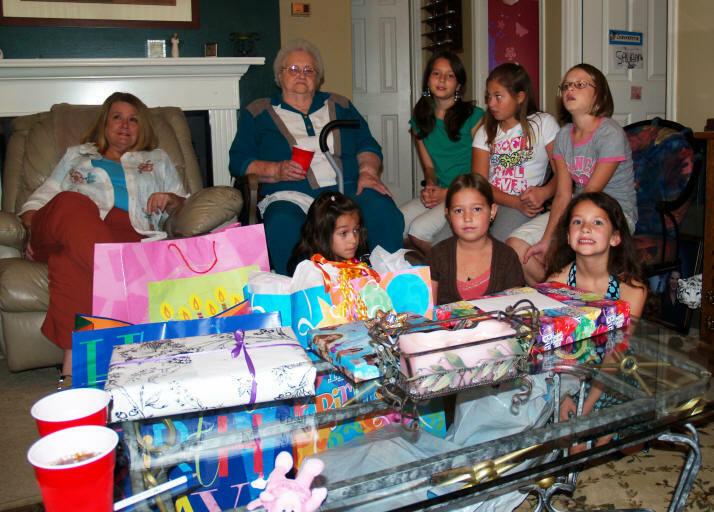 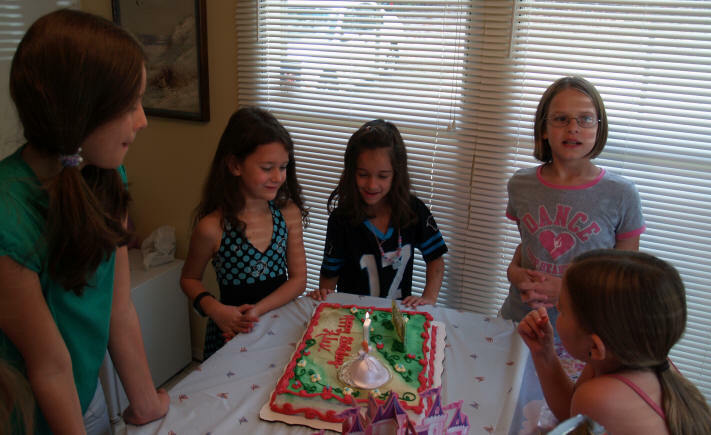 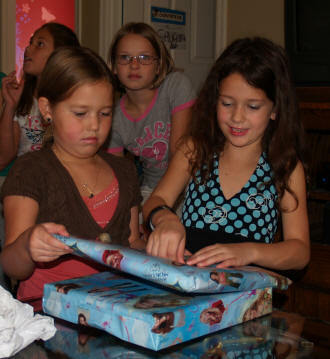 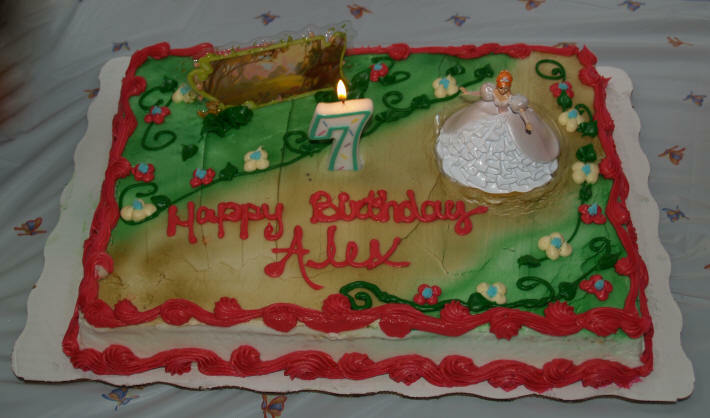 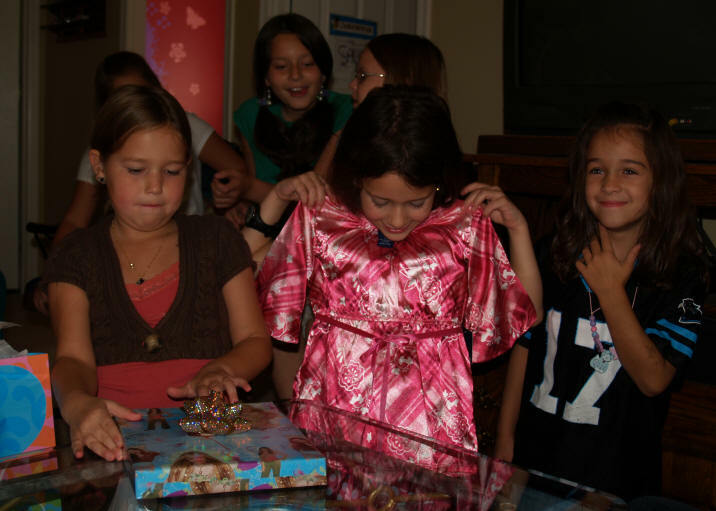 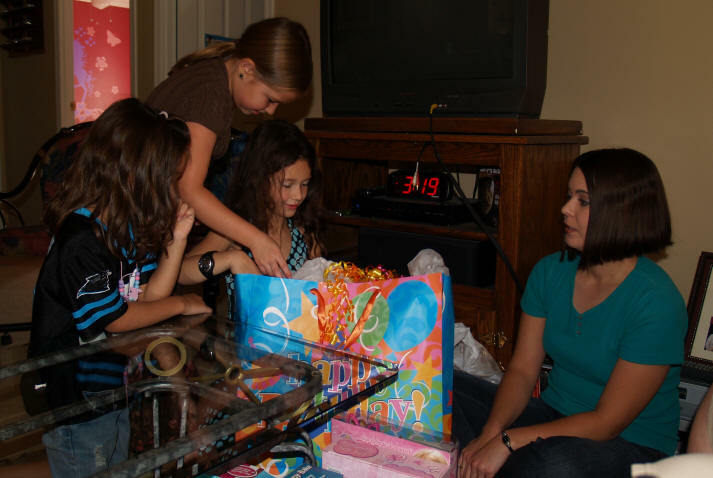 Alexandria's 7th Birthday. 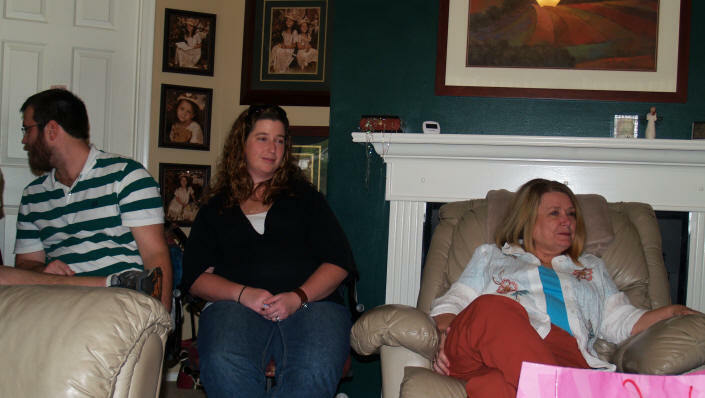 All the family was there - as well as lots of friends. 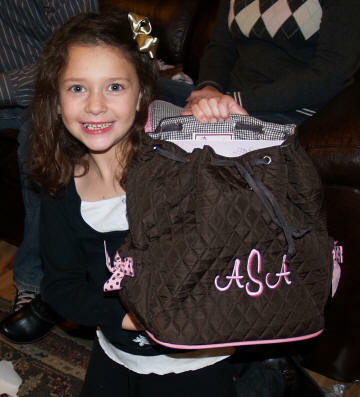 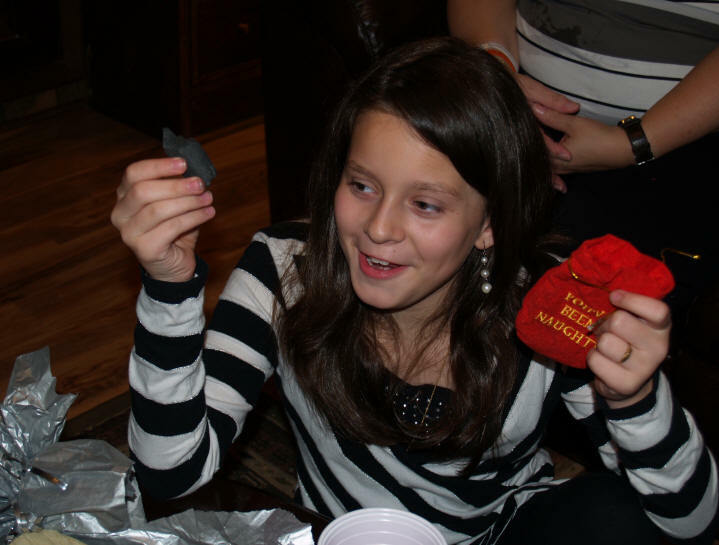 "Gee, this big bag has all sorts of stuff in it"
The Loftin & Seese families got together for Christmas Day lunch. 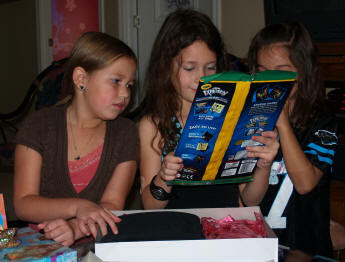 After lunch, everyone went into the living room and started opening Christmas presents. 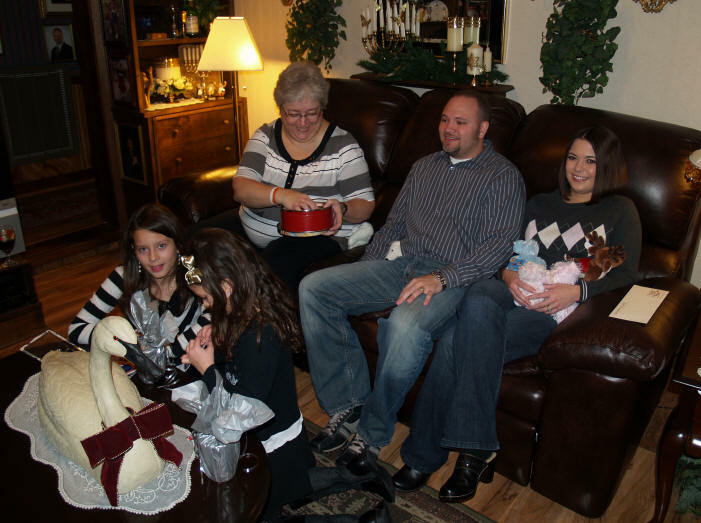 Curtis & Carolyn, Brad & Beth, Savanna & Alexandria go over to Philip & Leslie's house each year for family photos. 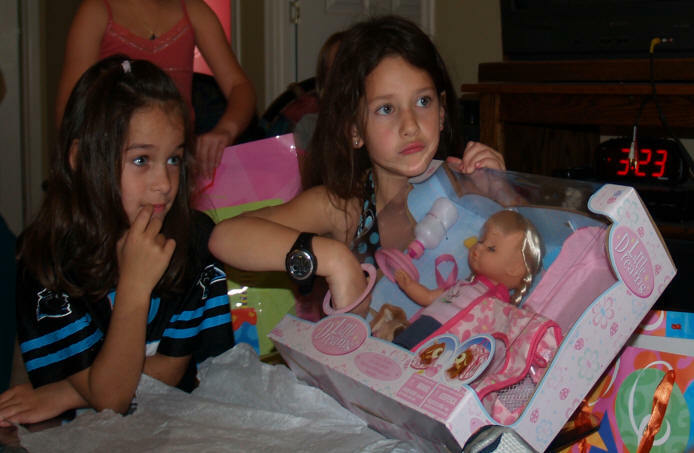 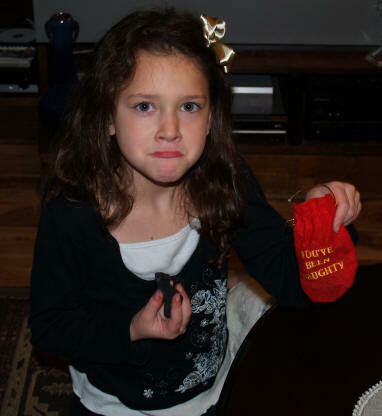 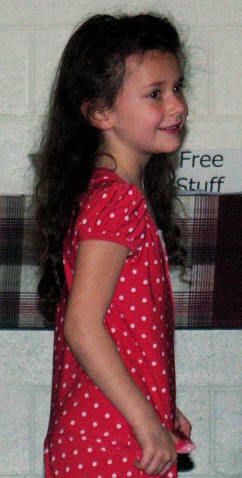 In 2009, the photos were taken on Christmas Day, after lunch and presents.